Produced by Sony Music to promote The Essential "Weird Al" Yankovic, this is a one-hour radio special that stations could play for free...complete with spots to plug in local commercials (no bartering or other advertising arrangements required). Reno 911! co-creators Robert Ben Garant and Thomas Lennon host this satiric look at Al's career, presenting interviews with Al and the band alongside clips (in full or in excerpts) of twenty-three tracks from the two-disc collection. Though Al had occasionally appeared on label-produced promotional releases, this marks the first label audio release of interviews with him or his band members. The songs that are played in their entirety are "Another One Rides The Bus," "Yoda," "Eat It," "Bob," "You Don't Love Me Anymore," "Hardware Store," "Smells Like Nirvana," "White & Nerdy," and "Don't Download This Song." The "Billboard" track includes an excerpt of "Pancreas." The "Segment 1" track includes excerpts of the following songs: "Pancreas," "Dog Eat Dog," "Another One Rides The Bus" (played in full), "Polkas On 45," "Yoda" (played in full), and "Eat It" (played in full). The "Break 1" track includes an excerpt of "The Night Santa Went Crazy (Extra Gory Version)." The "Segment 2" track includes excerpts of the following songs: "I Lost On Jeopardy," "I'll Sue Ya," "Bob" (played in full), "Your Horoscope For Today," "You Don't Love Me Anymore" (played in full), "UHF (Single Version)," and "Hardware Store" (played in full). The "Break 2" track includes an excerpt of "Trapped In The Drive-Thru." The "Segment 3" track includes excerpts of the following songs: "Lasagna," "Smells Like Nirvana" (played in full), "Amish Paradise," "White & Nerdy" (played in full), "eBay," and "Don't Download This Song" (played in full). 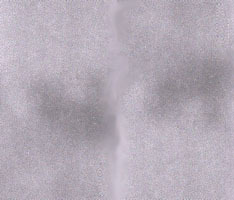 The "Promo 1" track includes an excerpt of "Amish Paradise." Ironically, the special's title song, "Everything You Know Is Wrong," does not appear in the main radio program but rather only during the CD's second "Promo" track. The "Promo 3" track includes an excerpt of "Canadian Idiot." The production was also available online as a series of four podcasts. Instead of merely cutting the one-hour radio special into four MP3 files, the entire show had been re-edited, with interview clips and song excerpts presented in an entirely different order and configuration. Part one of the podcast contains excerpts of the following songs: "Pancreas," "Your Horoscope For Today," "Dog Eat Dog," "Like A Surgeon," "I Lost On Jeopardy," "Another One Rides The Bus," "Polkas On 45," "Yoda," and "The Saga Begins." Part two of the podcast contains excerpts of the following songs: "The Biggest Ball Of Twine In Minnesota," "Fat," "Eat It," "Since You've Been Gone," "The Night Santa Went Crazy (Extra Gory Version)," "I'll Sue Ya," "Bob," "It's All About The Pentiums," and "You Don't Love Me Anymore." Part three of the podcast contains excerpts of the following songs: "You Don't Love Me Anymore," "UHF (Single Version)," "Hardware Store," "Everything You Know Is Wrong," "Lasagna," "Smells Like Nirvana," and "Another One Rides The Bus." Part four of the podcast contains excerpts of the following songs: "Albuquerque," "Amish Paradise," "Trigger Happy," "White & Nerdy," "eBay," "Gump," "Don't Download This Song," "Dare To Be Stupid," and "Trapped In The Drive-Thru." 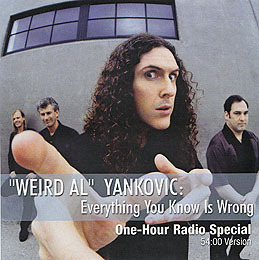 In total, thirty-two of the thirty-eight tracks on The Essential "Weird Al" Yankovic were featured among the four podcasts. The only songs off the set not excerpted were "One More Minute," "Melanie," "Bedrock Anthem," "Frank's 2000" TV," "Jurassic Park," and "Canadian Idiot." This page was last updated June 9, 2011.